New Delhi: The DMRC (Delhi Metro Rail Corporation) is going to tie up with cab organisers to install cab kiosks at its Metro rail stations. The move is aimed to put up cab kiosks at almost all Metro stations except for pick-up and parking points. Already, kiosks of cab aggregators Uber and Ola are functional at 5 metro stations as part of the pilot project, according to the TOI. While Ola has kiosks at MG Road and Noida Sector-18 metro stations, Uber has kiosks at Dwarka Sector 21 Metro Station and Sikanderpur Metro Station. Both the cab aggregators have their kiosks set up at Rajiv Chowk Metro Station, as well. 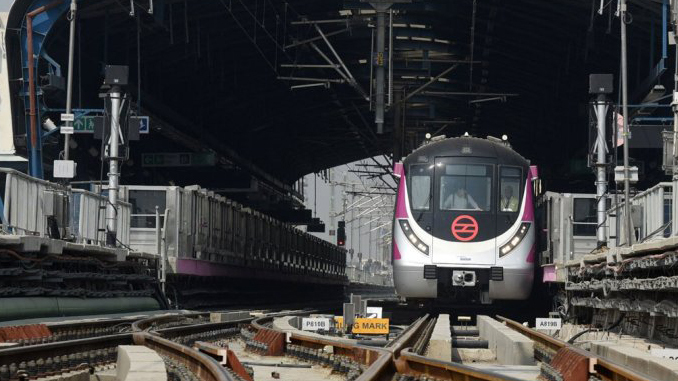 This pilot project started by DMRC in December 2018 is now going to be implemented in 218 of the 271 metro stations in Delhi-NCR. DMRC has recognised 400 of these spaces where cab kiosks can be put up. The spaces will be allocated to the cab organisers on a lease-basis. The company would enter into a separate lease agreement for the allotment of space. The parking spaces would be provided on a commercial basis. The DMRC would also ensure sign boards inside and outside the metro stations for public information. Rail Analysis insights: The move is aimed to put up cab kiosks at almost all Metro stations except for pick-up and parking points.